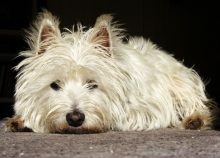 The West Highland White Terrier or ‘Westie’ is a very popular small dog. 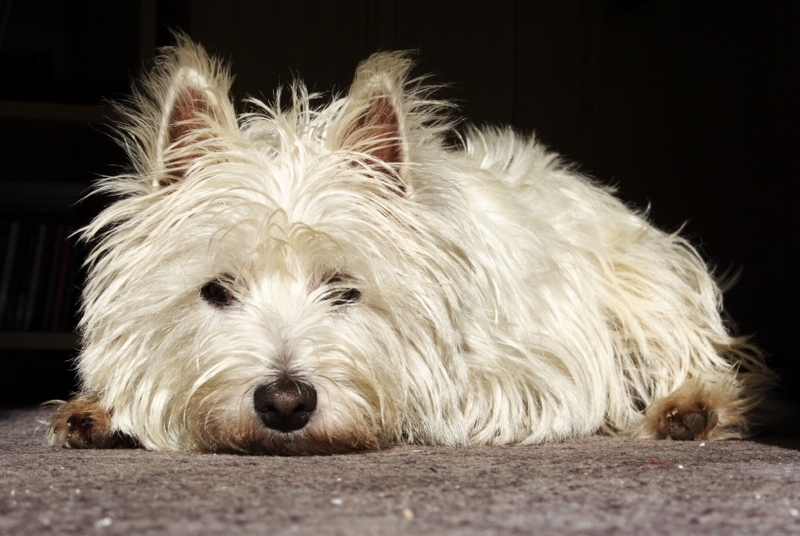 He lives happily as a companion dog or family pet. Despite his small size, he is no lap dog and needs plenty of exercise. His coat needs regular brushing and he may need have professional grooming from time to time. Eye scheme: Hereditary cataract (HC) (annual testing); Multiple ocular defects (MOD) (litter screening); Persistent pupillary membranes (PPM) (litter screening).